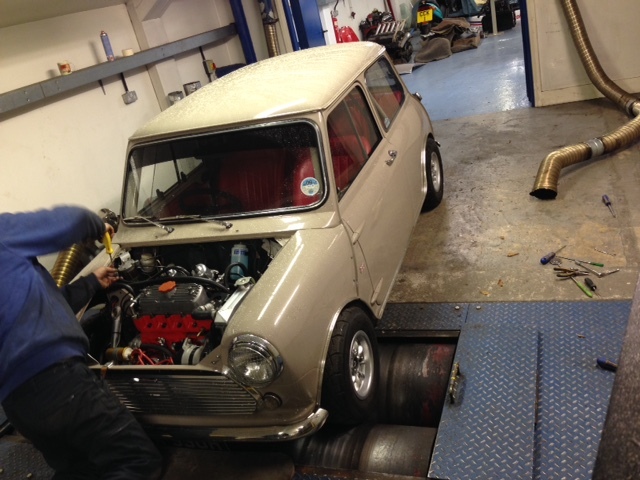 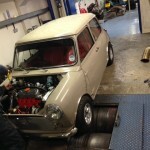 A smart little Mk2 Morris Mini with a 1275cc engine and twin HS4 carburettors. 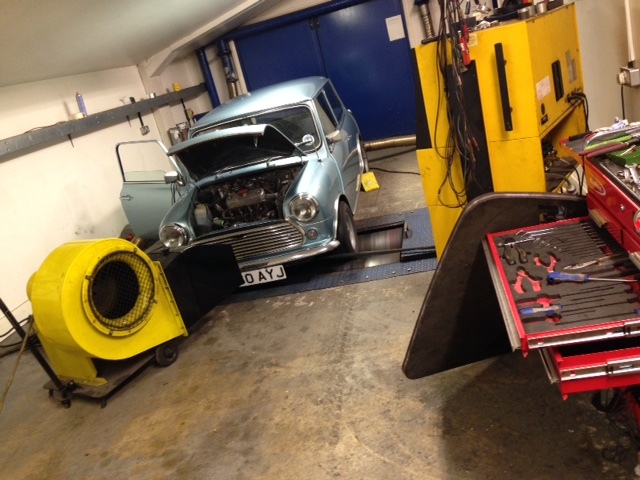 The engine was running poorly due to a number of factors. 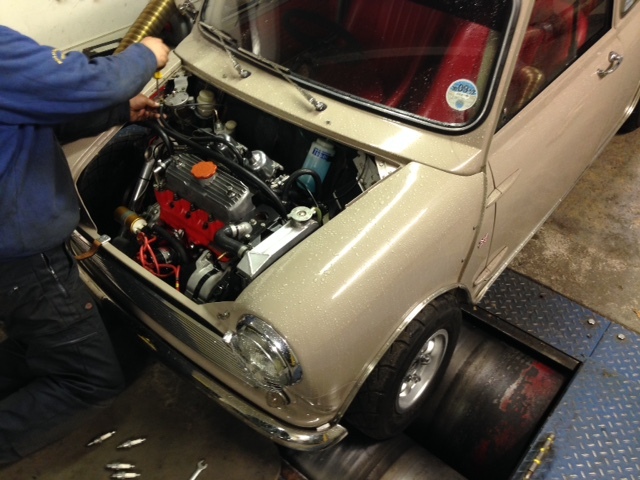 We set the points gap and set the ignition timing. 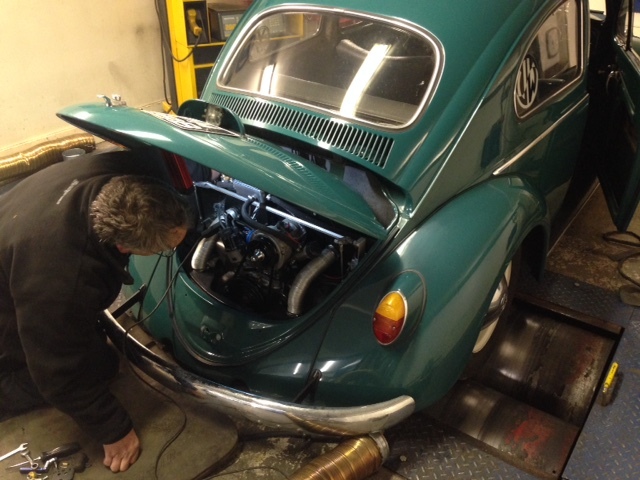 Once the twin SU carburettors were balanced we setup the idle then gave it a power run. 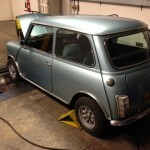 A change of needles was required to get the fueling right but it runs an awful lot better now. 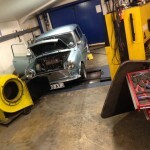 We are now back from Christmas and today we’ve been on the rollers. 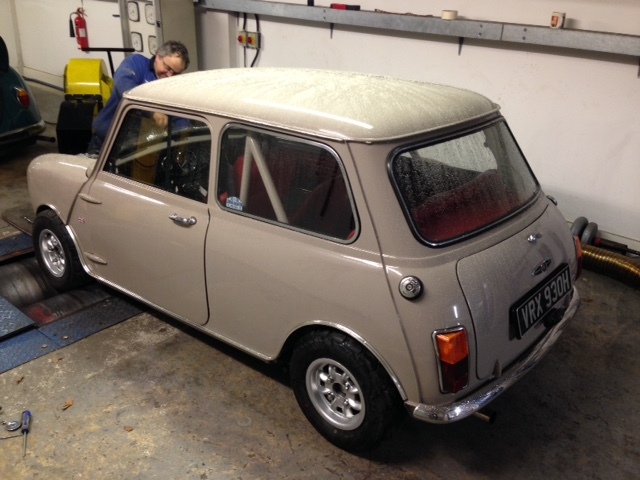 First was a 1275cc Mini. 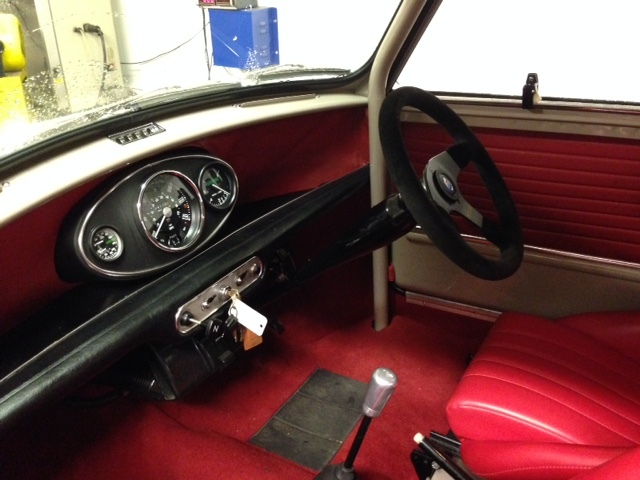 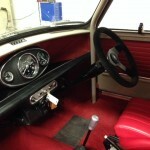 A simple stage 1 kit had been fitted. 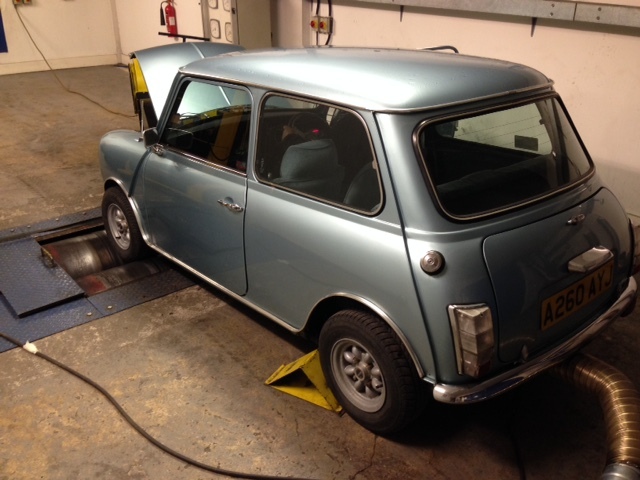 We adjusted the timing and profiled the needle to find an additional 5bhp at the wheels. 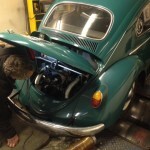 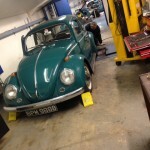 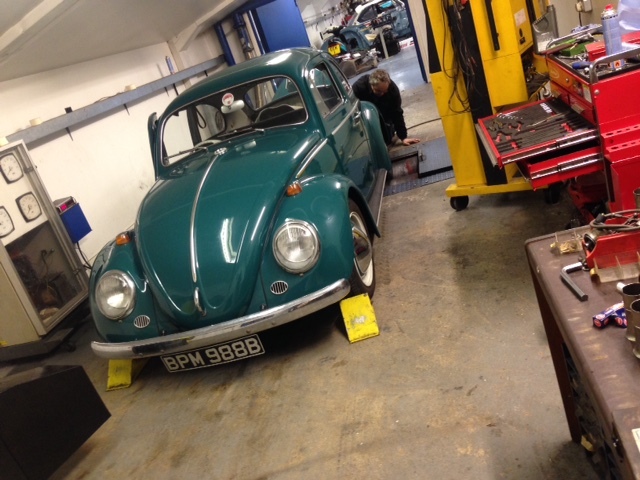 This afternoon we had a 1964 Volkswagon Beetle with a 1641cc engine. 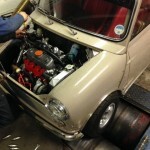 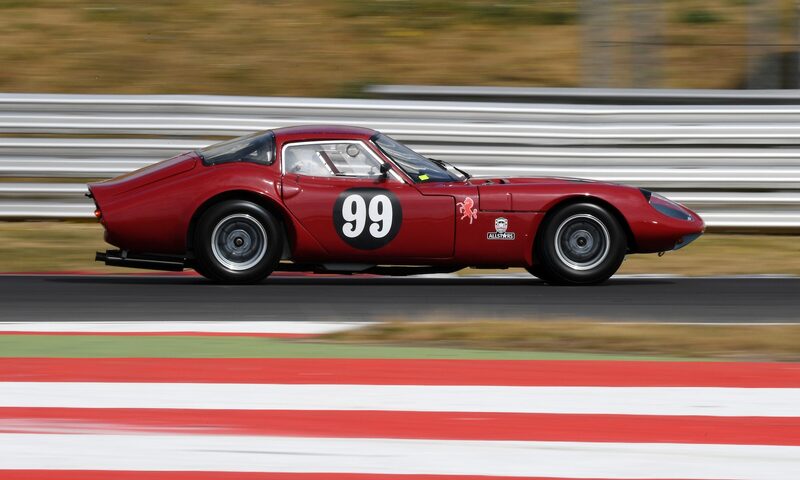 It has had a lot of running issues including misfires, backfires and poor starting. 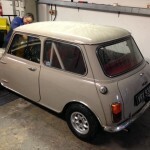 We hope to have all of these problems solved so the owner can finally start enjoying his classic.